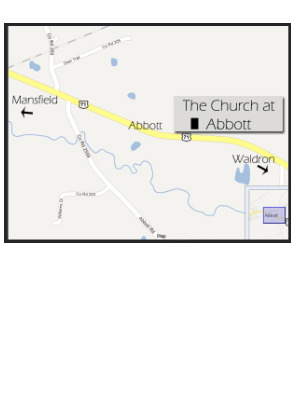 The Church At Abbott is located on Highway 71 North in Abbott Arkansas. We are approximately 3.8 miles East of Mansfield, Arkansas and 18 miles west of Waldron, Arkansas. From Ft. Smith, the church is 24 miles south on Hwy 71.